Carte Fini, we can come together and make this beautiful wreath together. Let's get started!!! Cut 6 inches of the 22 gage wire. Place a dot of hot glue to one end of the paper and twist the paper around the wire until you get to the end of the paper. Then add a dot of glue to the end of the paper and hold the paper down until the glue cools off. Congratulations...you just made your first pine stem!!! You need to put together 3 pine stems for each pine stem bunch. Make enough pine stem bunches to accommodate your design. 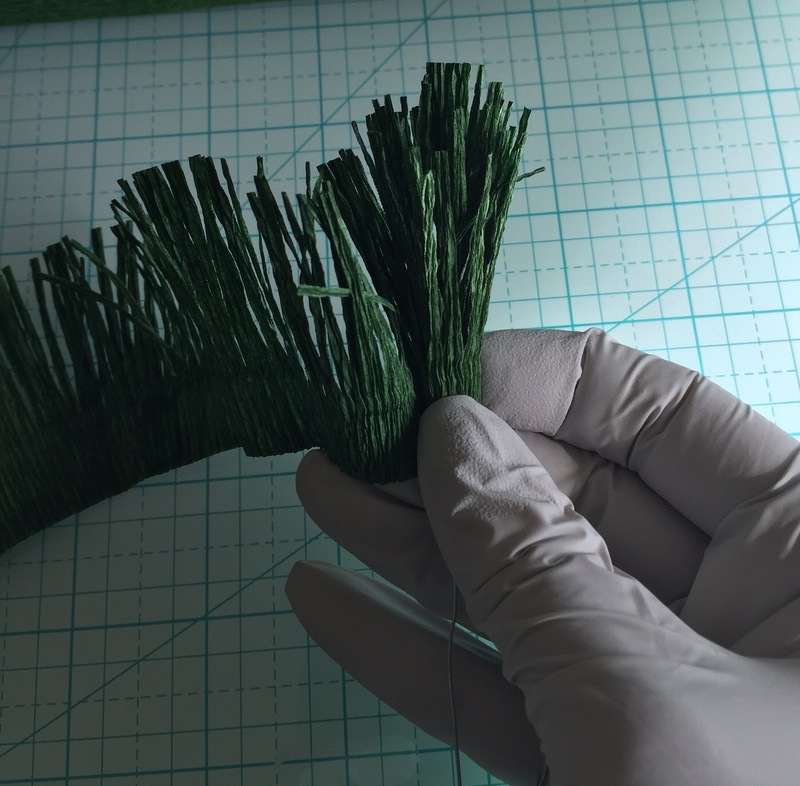 To make a pine stem bunch, take one stem (primary) and add a line of hot glue to the bottom of the stem. Then place the bottom of the second stem on top of the glue on the primary and hold until the glue cools off. Now place a line of hot glue on the other side of the primary stem and place the bottom of the third stem on top of the glue and hold until it cools off. Repeat this process until you have your desired number of pine stem bunches. I love making this Christmas wreath for my family so I know that it is going to bring you and yours great joy as well. Let's start making this simple yet beautiful rose!!! Congratulations!!! You just made your first beautiful rose!!! Now use this same tutorial to make the off white rose using Carte Fini 180 gram crepe paper #807. Cut the stem on the wire at the base of the flower and continue this process to make as many hydrangeas as you prefer. Yay...you've done it!!! Congratulations on making your beautiful Christmas wreath!! !